VANCOUVER, British Columbia, Canada, September 26, 2012 (ENS) –Environmental groups are suing Canada, claiming failure to implement the Species at Risk Act endangers wildlife along the Northern Gateway pipeline and shipping route. Ecojustice filed the litigation Tuesday in federal court in Vancouver, acting on behalf of five environmental groups: the David Suzuki Foundation, Greenpeace Canada, Sierra Club B.C., Wilderness Committee and Wildsight. The lawsuit challenges the federal government’s years of delay in producing recovery strategies for four species that would be affected by the proposed Enbridge Northern Gateway project — the Pacific humpback whale, Nechako white sturgeon, marbled murrelet and southern mountain caribou. The recovery strategy for each of these species is at least three years overdue under timelines mandated by the Species at Risk Act, SARA. The groups seek a court order to force the federal government to release recovery strategies for the four species that are the subject of this litigation. These recovery strategies are an important first step in ensuring these endangered species have their habitat protected. The habitat for all four species, which lies along the proposed pipeline and shipping route, would be impacted by the construction and operation of the Northern Gateway pipeline. The Enbridge Northern Gateway Pipeline project is a proposal by Enbridge Inc., a Canadian crude oil and liquids pipeline company, to construct twin pipelines running from Bruderheim, Alberta, to Kitimat, British Columbia. The eastbound pipeline would import natural gas condensate and the westbound pipeline would export bitumen from the Athabasca oil sands diluted with the condensate to the new marine terminal in Kitimat where it would be transported to Asian markets by oil tankers. The Northern Gateway Pipeline proposal is opposed by many native groups, as the pipeline would traverse their traditional lands and threaten habitat for wild salmon. In December 2010, over 60 First Nations in British Columbia, including many along the proposed route, signed a declaration opposing the project. Environmental organizations are concerned about Enbridge’s numerous pipeline spills and now are suing the government in an attempt to prevent destruction of wildlife habitat. By delaying the recovery strategies for species at risk and thus identification of the critical habitat it must protect, the federal government is making it easier for big projects, like the Enbridge Northern Gateway pipeline, to speed through regulatory review without a full understanding of the long-term impacts on these wildlife species and their habitat, the plaintiff groups argue. “While failing to meet its legal responsibility under the Species at Risk Act, our government has nevertheless found plenty of time and resources to vigorously promote the Enbridge pipeline proposal,” said George Heyman, executive director of Sierra Club B.C. Other species at risk with delayed recovery strategies that will be impacted by the pipeline include: boreal caribou, northern goshawk (laingii subspecies), common nighthawk, olive-sided flycatcher, and the Canada warbler. On paper, SARA presents a logical, scientifically sound framework for protecting vulnerable species and giving them a chance to survive and recover. But in practice, the groups contend, chronic delays in producing recovery strategies, identifying critical habitat and protecting that habitat once it has been identified is the government’s pattern. The federal government has delayed completion of recovery strategies for 188 at-risk species; in many cases, these delays stretch years past the mandatory deadlines set out in SARA. Currently, 87 recovery strategies are more than five years overdue. On December 4, 2009, Canada’s National Energy Board and the Canadian Environmental Assessment Agency issued the Joint Review Panel Agreement and the terms of reference for the environmental and regulatory review of the Northern Gateway Pipelines. As an inter-provincial pipeline, the project requires a public regulatory review process conducted by Joint Review Panel, which held its first session on January 10, 2012 in Kitamaat Village, British Columbia. The plaintiff groups are concerned that the proposed Enbridge Northern Gateway pipeline passes directly through the ranges of four Southern Mountain caribou herds: the Hart Ranges, Quintette, Narraway and Telkwa herds. The pipeline and related infrastructure such as access roads and utility corridors, will disturb and fragment the habitat of these four herds. 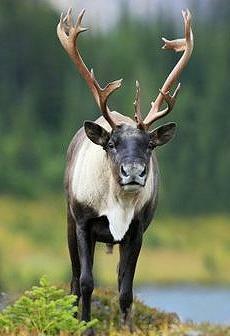 The survival and recovery of caribou herds are interlinked; pipeline impacts would also affect adjacent herds. The groups fear that ocean-foraging marbled murrelets, seabirds that nest in coastal old-growth forests, will be harmed by chronic, routine small emissions of oil into the ocean through refueling of, and leaks from, oil tankers carrying oil from the Enbridge pipeline from Kitimat to Asia. 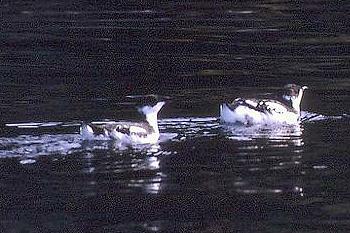 Marbled murrelets are sensitive to marine traffic and may abandon foraging areas that have high levels of oil tanker traffic. More than half of British Columbia’s total murrelet population lives in the waters near the proposed tanker port. Environment Canada has described the seabird as a species that is particularly vulnerable to the threat of an oil spill by tankers off the B.C. coast. The groups worry that the introduction of daily oil tanker traffic into the critical habitat of Pacific humpback whales would increase their risk of ship-strikes, create noise pollution which may interfere with their feeding and social behavior, and expose the whales and their essential habitat to the threat of an oil spill. 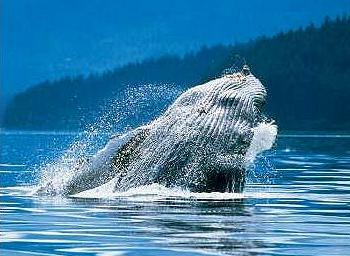 Four areas of critical habitat were proposed for Pacific humpbacks in the government’s 2010 Draft Recovery Strategy. One of these areas, Gil Island, is directly along the route oil tankers are likely to take to and from the Enbridge terminal proposed for Kitimat. Nechako white sturgeon is listed as Endangered under SARA. The Nechako white sturgeon is in a critical state of decline, having dropped from an estimated 5,000 fish to approximately 360 fish, with most individuals more than 30 years old.